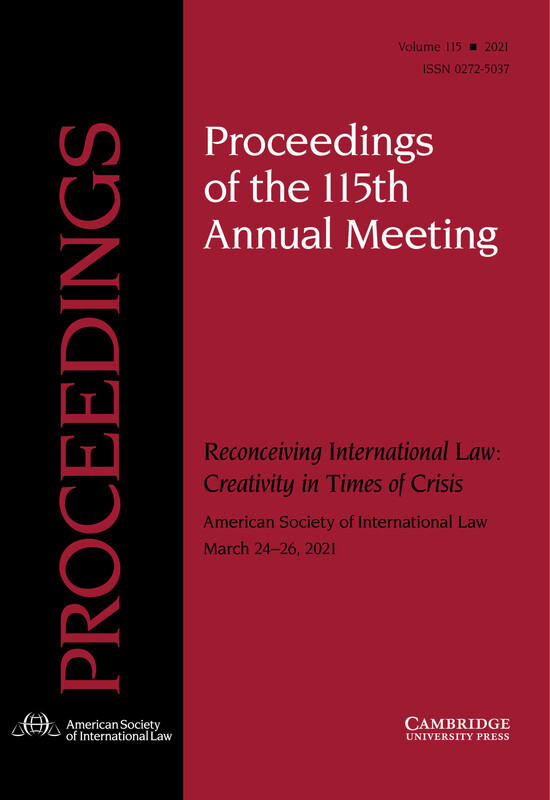 Proceedings of the Annual Meeting (Proceedings) is the official record of the American Society of International Law's Annual Meeting. It documents the array of presentations, addresses and discussions among scholars, practitioners, judges, government officials, and advocates from around the world who meet each year to discuss the most salient international legal issues of the day. For over a century, the Annual Meeting has been among the most important gatherings of international law professionals, bringing together more than 1,200 participants from some 75 countries. Proceedings serves as an indispensable account of the state of international law throughout the world. ASIL members should log in to the American Society of International Law​ webpages to gain access to the full Proceedings archive.